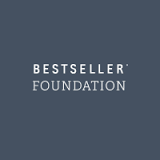 The Bestseller Foundation provides projects and businesses with tools, skills, and financial opportunities that enable them to improve the lives of less privileged communities in Southern and Eastern Africa, China, and India. The Foundation primarily invests in projects and businesses through equity, shares, and loans. In rare cases, it may also provide grants. The Bestseller Foundation has four thematic focus areas, including two that are directly relevant in the Terra Viva Grants Directory. 1. Agriculture and Food Production. The Foundation invests in food value chains and sustainable agricultural production to enable farmers to grow cash crops, and to sell value-added products. 2. Environment and Nature Conservation. The focus is on projects and businesses that contribute to environmentally sustainable development benefiting vulnerable people and societies. Examples are new environmentally sustainable technologies and products; green tech and climate-friendly agriculture; initiatives that protect nature and wildlife habitat; and projects that address desertification, illegal logging, and wildlife trafficking. The Bestseller Foundation invests mainly with commercial actors in for-profit projects by means of loans and equity. Not-for profit organizations and projects may be eligible for consideration if they have clear and commercially viable objectives. In some cases, the Foundation may consider grants or donations. For example, it may offer grants in combination with investments or loans, or when projects do not have products or services that can be commercialized. APPLICATION: The Foundation does not have a formal application process. It invites potential partners in eligible regions (China, India, and Eastern and Southern Africa) to contact the Foundation by telephone or by email and to present a short concept note. The Foundation posts its funded projects. The Foundation’s current strategy document is a useful guide to its mission and objectives. Contact gives information to reach the Foundation’s staff in Denmark and China.